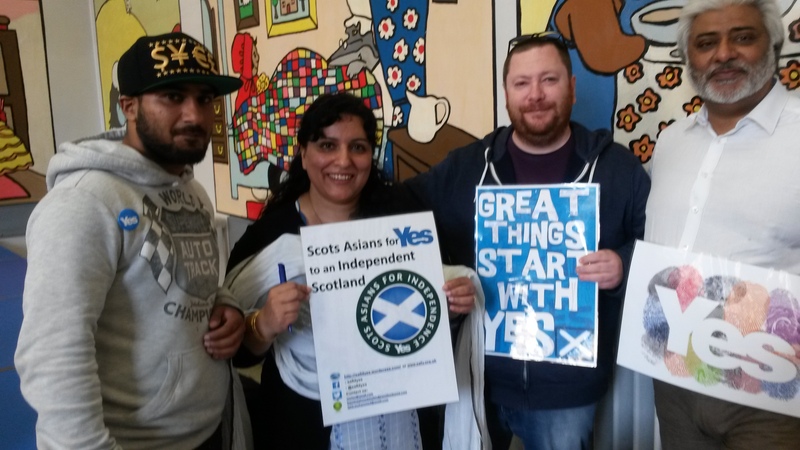 A great week with lots of events which members of Scots Asians for Yes covered across Scotland, from the Samosa Fun Day in Glasgow, the FRAE event in Kirkcaldy, the Race and Referendum event in Aberdeen, Quarriers in Renfrewshire, Power, Women and Politics event by Amina MWRC, and the RIC mass canvass in Pollok yesterday which saw over 100 activists congregate outside the Pollok Civic Realm to go and canvass across the Pollok area. The Samosa Fun day was good for many reasons. 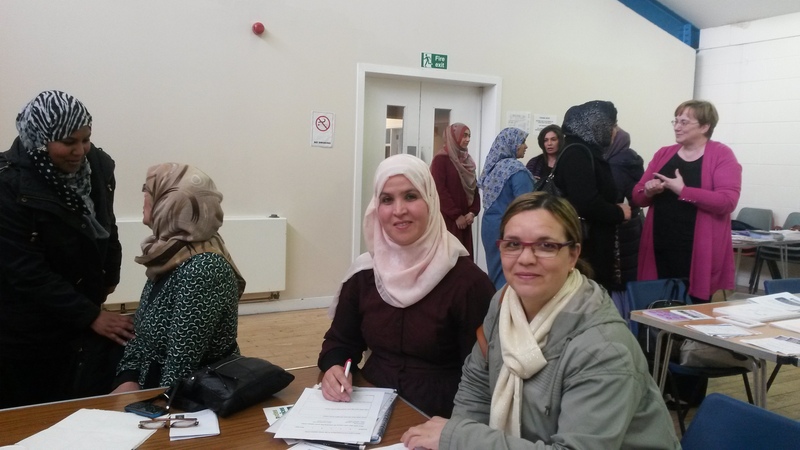 I arranged for Al Jazeera English to attend the event and talk to both sides of the campaign ( Yes Scotland and Better Together) and to the stall holders and people visiting to get as broad a perspective as possible around the independence referendum. All the debates were very good, as it made us the campaigners realise the sophistication and much deeper understanding of how issues will impact upon them post 18 September whether they vote yes or no.